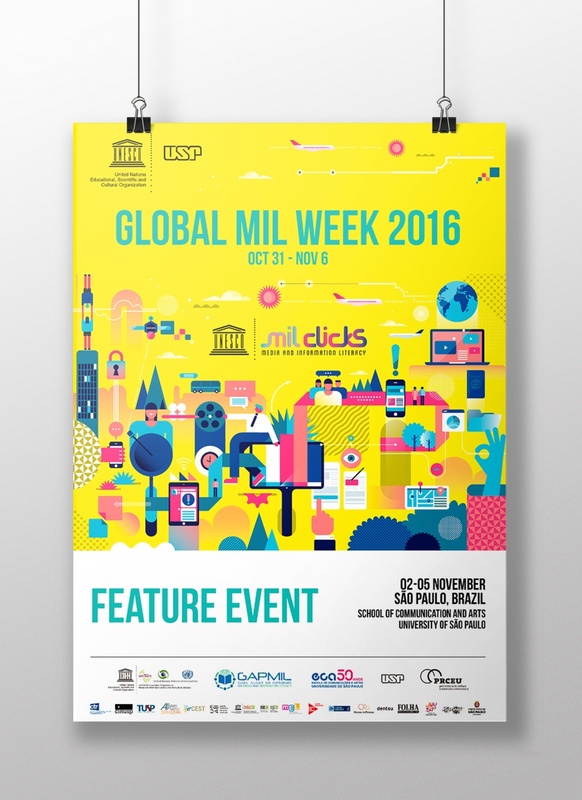 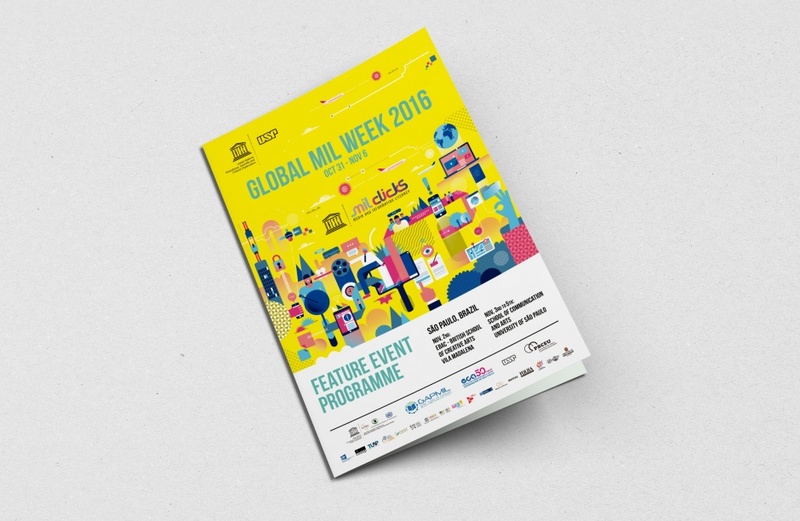 Illustration by artist Fernando Volken Togni for the “Global Mil Week 2016” campaign for Mil Clicks. 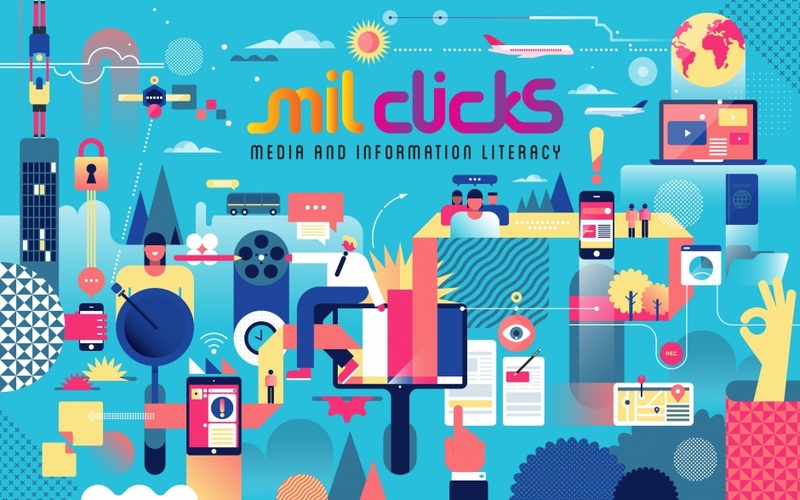 Mil Clicks is an institute linked to UNESCO for purposes of digital inclusion. 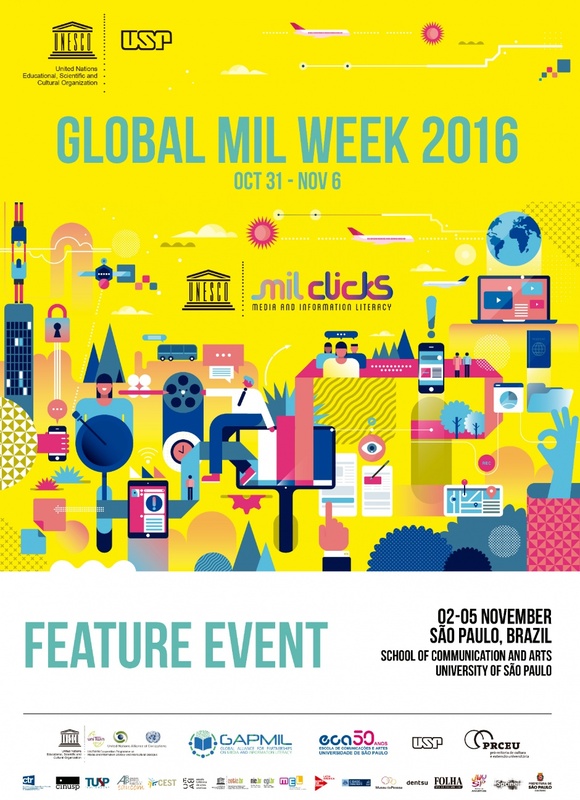 The campaign concerns literacy around the world in a digital way, In distance learning format through the internet.